Kentucky Oaks 2015 Contender Top Decile Expected To Get Better With Age: When a horse seems to mature quickly through their two-year-old year, some say that the horse won’t be the same as a three-year-old. Some horses dominate at both ages. If being a factor in their two-year-old season means not being a factor in their three-year-old season, Kentucky Oaks 2015 contender Top Decile is in trouble. The Congrats filly started her career three months ago, breaking her maiden at first asking, over the Churchill Downs main track at 6.5F. Since then, Top Decile has been competing in grade one competition. Trainer Al Stall asked the filly to stretch out in her second start in the G1 Darley Alcibiades at Keeneland. The filly didn’t seem to mind the soggy, yet fast, track. However, she was barely passed in the final 1/16 by foreign invader Peace and War (War Front). Stall, after the Darley Alcibiades, only officially worked the Congrats filly twice, which led up to her runner up finish to longshot Take Charge Brandi in the Breeders’ Cup Juvenile Fillies (G1). Top Decile has developed into a late runner since her maiden score. In her first start, she battled with the leader before claiming the lead and running home with in. 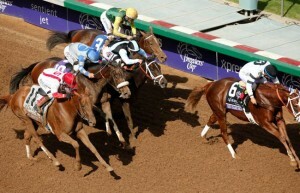 However, in her last two starts, the filly has come from mid pack or further back to claim second place. While she has finished second in her last two starts, she has faced horses such as high priced yearlings, Take Charge Brandi, Peace and War, and Feathered. She has also faced previously undefeated Fashion Alert, in which she did defeat in the Darley Alcibiades (G1). In Top Decile’s pedigree, seems to be gears a bit more toward speed, with Congrats on top and Forestry as the damsire. Top Decile’s dam, Sequoia Queen, was unbeaten in her first two starts, both at six furlongs, but was beat in her third start. Her third, and final, start as in a listed stakes at Belmont. Stretching out the extra furlong beat her, and Sequoia Queen was then, retired to pasture and a life as a mom. 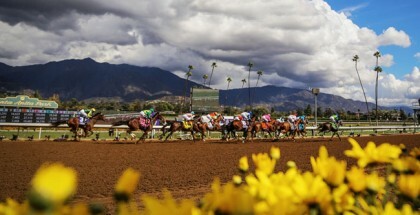 Congrats was not the best racehorse, mainly only winning allowances, with the exception of the Alysheba Stakes and the G2 San Pasqual Handicap at Santa Anita. 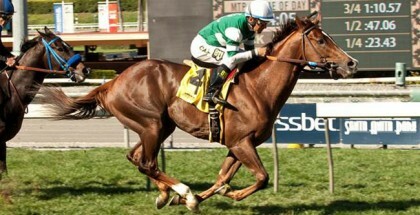 However, he did hit the board in many graded stakes events, including the G1 Santa Anita Handicap. However, Congrats has been a good sire, with his roster topped with multiple grade one winner Turbulent Descent. In fact, Top Decile is bred on the exact same cross as Turbulent Decent. Congrats over a Forestry mare seems to be working, and Top Decile is seemingly no exception. Top Decile may have only limited Oaks points right now, but she is only likely to get better with age, just as Turbulent Decent did. While Turbulent Descent excelled at shorter and middle distances, Top Decile seems to actually want more running room. With distances getting longer, she should excel and be a threat down the road. 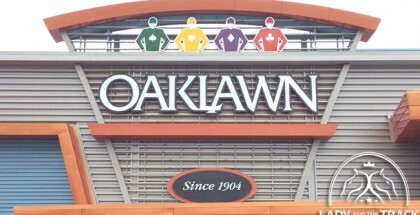 The 141st running of the Kentucky Oaks take place at Churchill Downs on Friday, May 1, 2015. 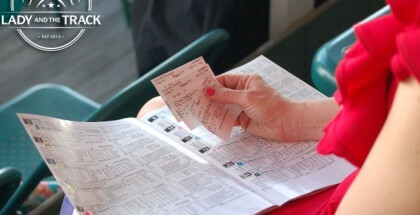 Follow the Road to the Kentucky Oaks.